Other specimens may be dried large fruiting bodies, pieces of wood or bark, seeds or material stored in spirit to preserve more delicate three-dimensional structures. A herbarium also keeps document records about the specimens - where, when and by whom they were collected. 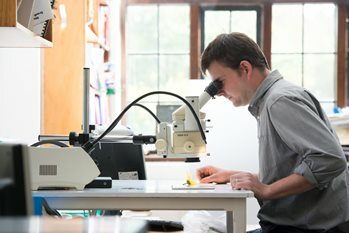 The RHS Herbarium – situated at RHS Garden Wisley - is the largest herbarium dedicated to ornamental plants in the UK and dates from 1917, although the oldest specimen is from 1731. The RHS Herbarium is in the process of being put in a database so that the information is more easily accessible to members and the public. An initial study from 2004-2006 allowed all the specimens in the main herbarium to be catalogued to a basic level. This recorded the name, the date it was collected and whether the plant was from the wild or cultivation. The database currently contains records for more than 60,000 herbarium specimens and almost 40,000 slides, photographs and paintings. Nomenclatural standards help fix the name of cultivars by preserving a sample or an image of a plant known to have come from the breeder of that plant. The RHS Herbarium is one of the few herbaria internationally that is actively collecting standard specimens. The RHS Herbarium welcomes material of plants in cultivation that are new or unusual. Material can either be pressed before sending or material can be sent in fresh and it can be processed here. One of the requirements of a National Plant Collection holder is to make a collection of herbarium specimens from their living collections. The RHS Herbarium works in conjunction with plant collection holders by offering advice and knowledge for the preparation and archiving of the specimens.